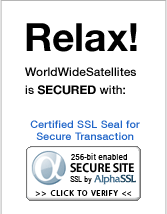 WorldWideSatellites.com offers the Latest Free to Air brands and the Most Selection of Free to Air Receivers!!! All FTA receivers we carry are Authentic. Are you confused which Receiver to buy or have questions? Please contact us either by Live Chat, Open Support Ticket or Call Us.